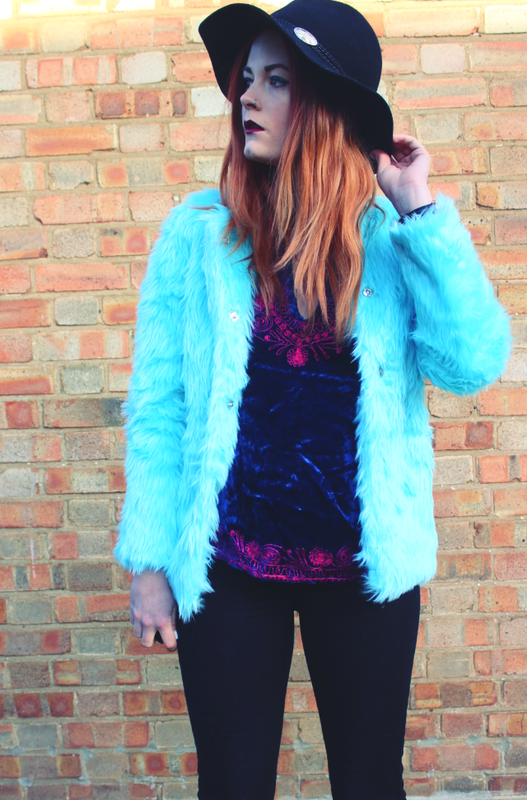 I've started to develop quite a collection of coloured faux furs, so I couldn't pass up another one when I stumbled across this bright blue dream on Fecbek, could I? I'll admit it's not the greatest quality and now I have no idea what the hell to even wear it with as it's such a bright blue, but it's so snug and fluffy! Wit woooop Mrs! I love this look, the 70s are making an absolute storming comeback! Colour looks great with your hair, I should really invest in some more coloured coats!